Watch! Ibinida ng Du30 Gov't. 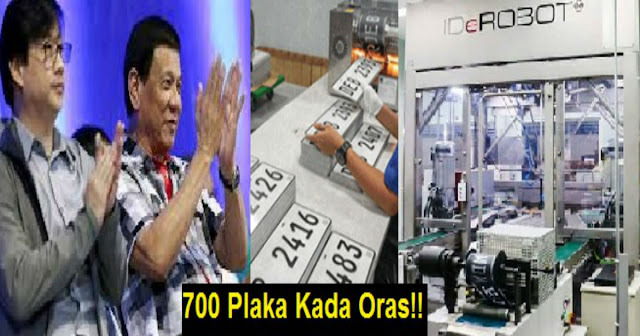 ang Robot na Gumagawa ng limpal-limpak na Plaka kada Oras! 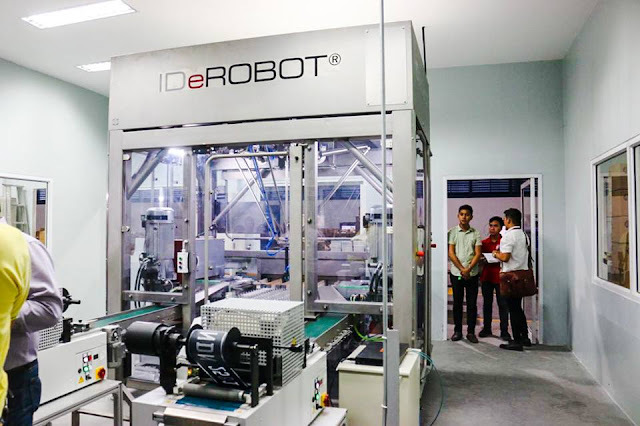 The Department of Transportation (DOTr) proudly announce the Land Transportation Office (LTO)'s modern robotic equipment, which is used in the production of vehicle license plates for the LTO facility in Quezon City. 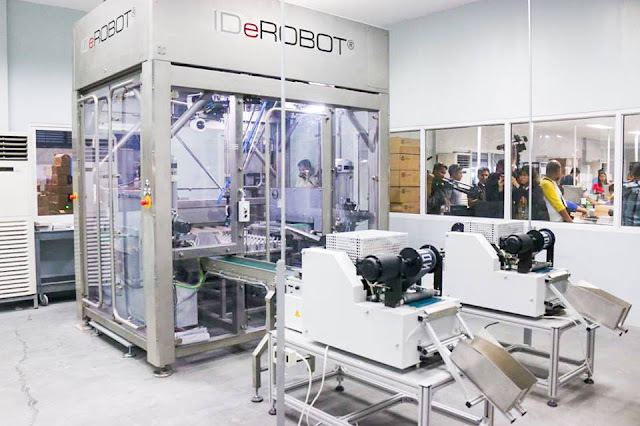 The name of the modern machine is IDeROBOT. According to the DOTr, IDeROBOT has made 700 license plates within an hour. Expected to make 5,600 plates within an 8-hour shift per day. It will be more systematic and safer in producing licence plates. The netizens are happy and excited about this new modern machine for licence plates making. This way, we will no longer the so called "Republika ng Walang Plaka!" Trending Balita: Watch! 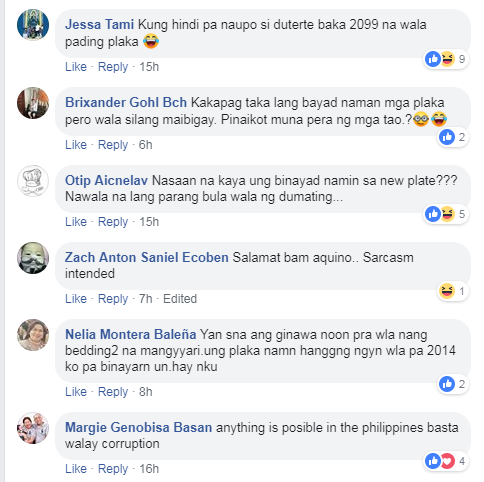 Ibinida ng Du30 Gov't. 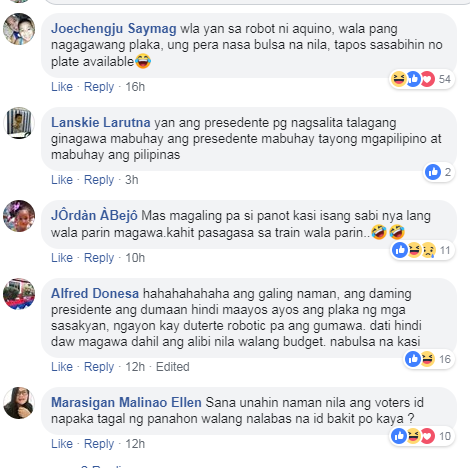 ang Robot na Gumagawa ng limpal-limpak na Plaka kada Oras!